Take control of the contract process to close more deals in less time, and build better relationships. 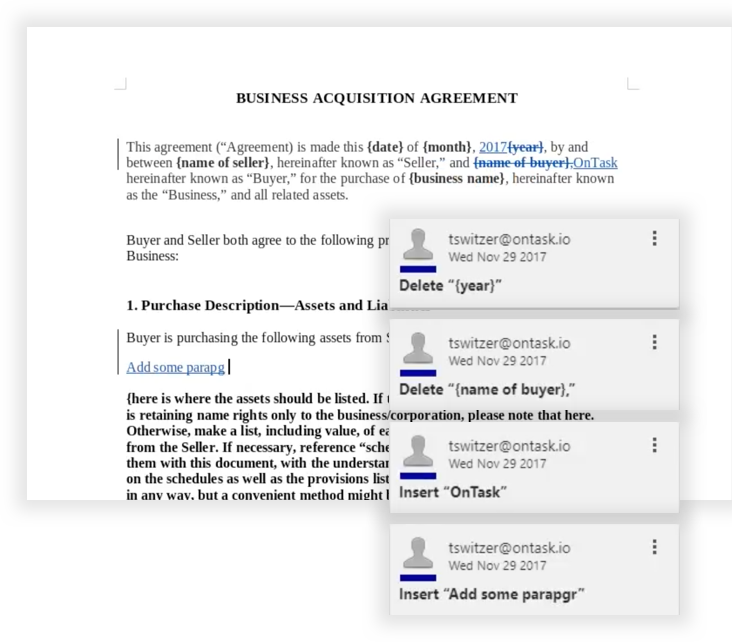 The all-in-one platform to securely negotiate and execute contracts—so you can work smarter and close deals faster. You’re on the verge of a deal with an exciting prospect. Nice work! 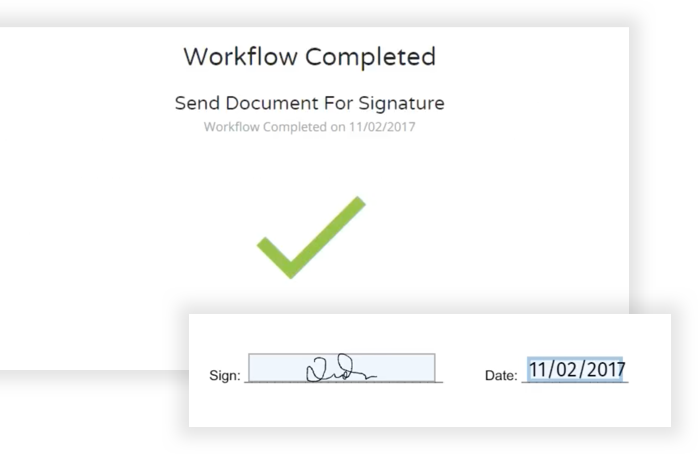 OnTask’s document workflow automation makes it easy to get agreements created, reviewed and signed digitally. You’ve never seen redlining and negotiation this seamless. Track, accept and reject changes, leave comments and view version history, all within our platform. Welcome to high-level visibility—you’ll never struggle to track down the “most recent version” again. 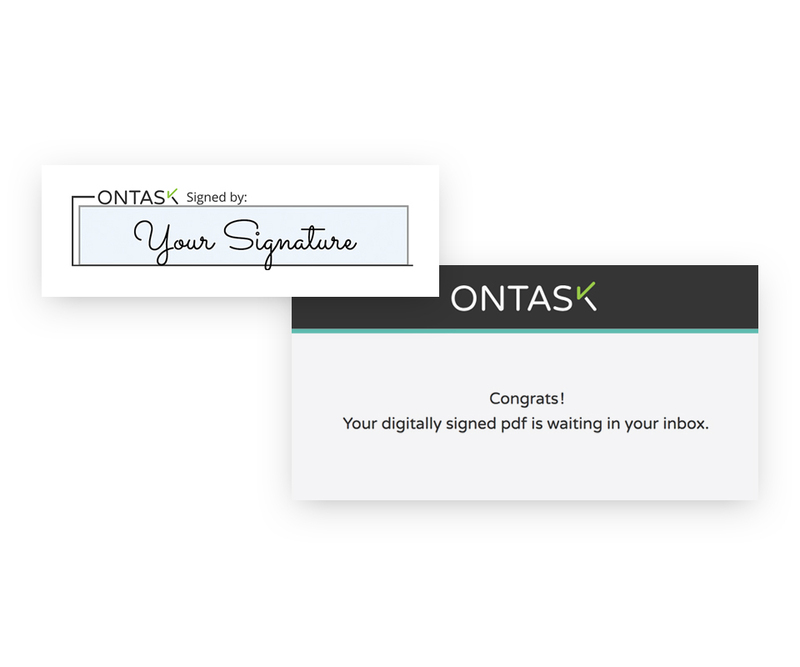 Your contract has passed through its entire lifecycle on the OnTask platform. Everybody’s happy—just tell them where to sign! 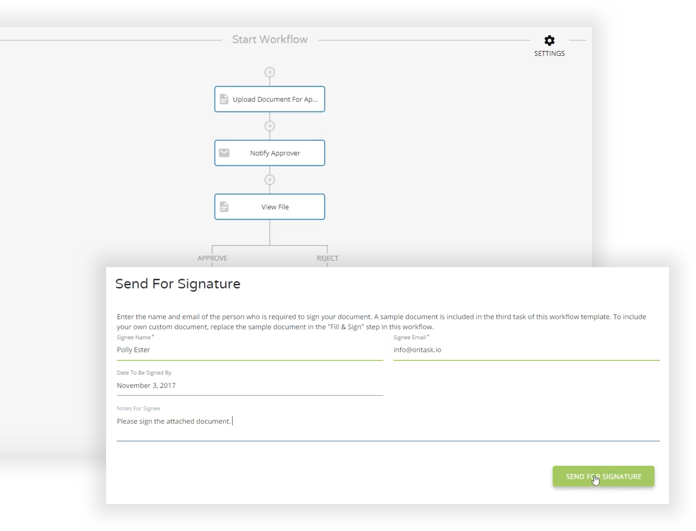 Collect secure, legally-binding digital signatures without ever leaving the platform. Boom. Done.